Nafeez Ahmed examines how the rise of ISIS was both predicted and evitable, and argues the West's current military campaign is already being used to neuter mass surveillance reforms at home and will likely produce further political destabilisation in the region. As the US, UK and French governments escalate military action in Iraq and Syria against the ‘Islamic State’, in an operation slated to last “years,” they are moving fast to justify the need for mass surveillance measures at home, while neutering calls for surveillance reform. The end result could well be accelerated regional violence and increasing criminalisation of Muslims and activists in the West. Intervention abroad, policymakers are arguing, must be tied to increased domestic surveillance and vigilance at home. 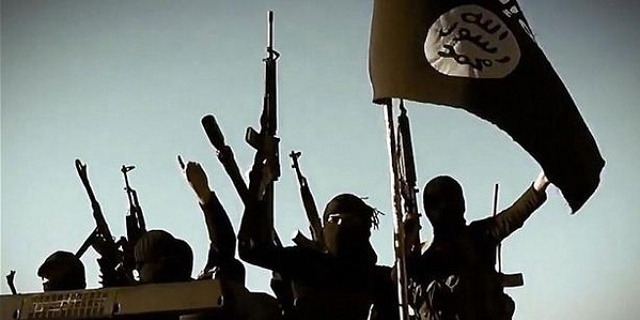 But US and British military experts warn that officials have overlooked the extent to which western policies in the region have not just stoked the rise of IS, but will continue to inflame the current crisis. The consequences could be dire – while governments exploit the turmoil in the Middle East to justify an effective re-invasion of Iraq along with intensified powers of surveillance and control – the end result could well be accelerated regional violence and increasing criminalization of Muslims and activists. In a recent article in Defense One, technology editor Patrick Tucker interviewed Dr Erin Fitzgerald, the head of the Pentagon’s controversial Minerva Research Initiative, about how Big Data analytics could have predicted the emergence of the Islamic State. Founded in 2008, the year of the global financial crash, the Minerva initiative is a multi-million dollar programme funding social science research at universities around the world to support US defence policy. As I reported exclusively in The Guardian and Occupy.com, Minerva-funded projects have focused on studying and modelling the origins and trajectories of “social contagions” to track the propensity for civil unrest and insurgencies that could undermine US strategic interests at home and abroad. This has included developing powerful new data-mining tools capable of in-depth analysis and automated threat-assessment of social media posts by nonviolent social movements, civil society networks, NGOs, and political activists, as well as potentially those by violent or extreme groups and organisations. These algorithms, according to NSA whistleblower Thomas Drake, could be used, for instance, to fine-tune CIA kill lists for drone warfare at a time when the US defence industry is actively (and successfully) lobbying federal and local government to militarise the homeland with drone technology. Even academic specialists advising the Pentagon research programme admit that a major deficiency of Minerva is its use of fluid and imprecise definitions of “nonviolent activism” and “political radicalism,” which tend to equate even peaceful activists with “supporters of political violence.” Official Pentagon responses to my repeated questions about how they would safeguard against demonising or criminalising innocent activists consistently ignored this issue. Citing a speech last week by CIA director John Brennan, Tucker points out that the sort of research being supported by Minerva is about closing “a big gap” in “intent intelligence” – the capacity to predict human intent. The elephant in the room, however, is that the US intelligence community did anticipate the rise of IS. There is now mounting evidence in the public record that President Obama had been warned of a major attack on Iraq by IS extremists. According to an unidentified former Pentagon official, President Obama “was given detailed and specific intelligence about the rise of the Islamic State as part of his daily briefing for at least a year”, containing “strong and ‘granular’” data on the emergence of ISIS. The source said “[we] were ready to fire, on a moment’s notice, on a couple hundred targets,” but no order was given. In some cases, targets were tracked for a “long period of time” but then slipped away, reported Fox News chief intelligence correspondent Catherine Herridge. The White House neither confirmed nor denied this report. Yet when asked whether the Americans had attempted to coordinate with Iraq on preparations for the expected ISIS assault this year, particularly due to the recognised inability of the Iraqi army to withstand such an attack, the Iraqi government source said that nothing of the sort had happened. “Perhaps they screwed up, the same way they screwed up over WMD,” he speculated. The reality is different. As my detailed investigation, including my interviews with senior US intelligence experts, showed, Minerva is attempting to develop new tools capable of assessing social movements through a wide range of variables many of which can be derived from data-mining of social media posts, as well as from analyses of private metadata – all informed by sociological modelling with input from subject-area social science experts. In 2005, Corman’s company in association with ASU won a $750,000 Pentagon grant to further develop its Centering Resonance Analysis (CRA) technology – a “superior data-mining algorithm,” which “had up to five times better precision than ones based on existing technologies.” The new grant was for Crawdad to advance the incorporation of “deep analytics” capable of mimicking “expert analysis” when combined with “domain knowledge.” This would create actionable insight from a range of streaming texts, including “news media, email, and even human conversation.” The project was completed in 2007. For the period 2009 to 2014, ASU won its major award from the Pentagon’s Minerva initiative to continue developing new data-mining algorithms to monitor ‘radical and counter radical Muslim discourses.’ Regional and subject-area academic specialists were asked to rate and scale the threat-level to US interests posed by purportedly Muslim civil society organisations and networks in Britain, Western Europe and Southeast Asia, in order to feed into the fine-tuning of algorithms that could automate the threat-assessment classification process in a way that mimicked expert input. When I obtained access to these scaling tools, it turned out that a significant number of organisations being threat-assessed were simply anti-war, human rights and pro-democracy groups that were not remotely Islamic organisations. For the same period from 2009 to 2014, the ASU received its National Security Agency (NSA) designation as a ‘National Center of Academic Excellence [CAE] in Information Assurance Research’ under the intelligence community’s CAE programme run by the Pentagon’s Defense Intelligence Agency (DIA). According to NSA whistleblower Thomas Drake, the ideal use for the ASU’s algorithms would be to feed into the US intelligence community’s capacity to conduct wide-ranging predictive behavioural analysis of groups and individuals in the homeland and abroad – with an inherent danger of categorising activists as potential terror suspects, and at worst, identifying potential targets for the CIA’s drone warfare kill lists. Given the problematic nature of the Pentagon’s understanding of political violence, though, rather than fine-tuning the intelligence community’s capacity to meaningfully identify threats, this instead maximises the capacity to see threats where none exist. No wonder then that Western governments have moved fast on the back of the IS threat to justify the need for mass surveillance and Big Data analysis, while neutering calls for surveillance reform due to systemic violations of privacy. Now the UN Security Council is about to endorse a new resolution granting unprecedented powers to government law-enforcement agencies to monitor and suppress the travel of terror suspects, including stripping people of their passports. The resolution does not require any criminal conduct as a precondition for the use of such enforcement powers. The problem is that neither of the main approaches to dealing with IS – mass surveillance and military bombardment – are likely to work. The New America Foundation’s detailed report, released at the beginning of this year, found that surveillance “has had no discernible impact on preventing acts of terrorism”; while military action and dubious alliances with regional powers is precisely what led to the current crisis. According to security analyst Charles Shoebridge, a former British Army and Metropolitan Police counter terrorism intelligence officer, the crisis across Iraq and Syria cannot be resolved without first addressing the extent to which western policies created the crisis in the first place. In much the same way that the devastation of Iraq in the context of the 2003 Iraq War, and the US-backed imposition of a repressive, sectarian regime there, have acted as a recruiting sergeant for Islamist extremists, further air strikes are likely to have a similar counterproductive impact now. For British counter-terrorism expert Shoebridge, the sheer incompetence of the US-UK’s reactionary response raises probing questions about whether their strategies have been willingly compromised by commitments to their allies, many of whom played key roles with US and UK support in supporting Islamist extremists in Syria. Whether or not the west is serious about defeating IS, there can be little doubt that the acceleration of western military intervention in Iraq and Syria is pitched to aggravate regional crisis, while permitting policymakers to dramatically extend the unaccountable powers of the surveillance state. Nafeez Ahmed is an investigative journalist, bestselling author and international security scholar. He has contributed to two major terrorism investigations in the US and UK, the 9/11 Commission and the 7/7 Coroner's Inquest, and has advised the Royal Military Academy Sandhust, British Foreign Office and US State Department, among other government agencies. His new novel, ZERO POINT, predicted a US-UK re-invasion of Iraq to put down an Islamist insurgency there. He is a regular contributor to The Guardian where he writes about the geopolitics of interconnected environmental, energy and economic crises via his Earth Insight global column. He has also written for The Independent, Sydney Morning Herald, The Age, The Scotsman, Foreign Policy, The Atlantic, Quartz, Prospect, New Statesman, Le Monde Diplomatique, among many others. An interesting, and frightening article. Thank you, Nafeez. I’m not sure which is more frightening – the massive criminalisation of innocent dissidents which will come from predictive tools if they are useless, or the destruction of dissent which could occur if they are successful. Since this measure is plugged into the broader preventionist agenda, it is quite likely we will see – or are seeing – people charged with preparatory acts, conspiracy and suchlike based on algorithmic prediction of what they might be planning to do (and not on what they are in fact planning to do). The subtext here is the view of protest, social movements, state collapse, and insurgency as problems of management, to be predicted and pre-empted like floods or epidemics. The idea that there might be legitimate grievances involved, or even social actors with motives of their own, is elided in a picture of predictable data. This turns us all into objects. And the general strategies which result from this – public order policing for example – have the effect of keeping people dissatisfied but passive, rather than addressing the underlying grievances. And beneath this framing is the assumption that we’re all “rational subjects” – by which they mean that we think in capitalistic ways. So they assume neoliberalism will gain its own support-base, since it’s the best system for “rational subjects”. But in fact they’re coming up against people who aren’t this kind of subject. So their deductions from data mining are inaccurate – they are ignoring the emotional element in social life. And they create a world which is almost intolerable to live in. Actually it leaves people getting more and more frustrated as the safety valves are taken away, and everyone feels frustrated and stressed and powerless. Which creates the conditions where young people decide to go fight for ISIS, or join a gang, or shoot up their school. Where mass unrest, insurgency or individual grievance-based violence can erupt from almost nothing, because of the massive underlying reservoir of discontent, frustration and powerlessness. The system’s gamble is that it can keep the capacity to act so low that it can head off the explosions before they happen, predict who will “snap” before they do, and cut off any channels for discontent before they become a system-level challenge. Of course this requires that people tolerate the collection of vast amounts of data, and the huge number of false positives the system is bound to throw up. The big hurdle they face in countries such as Iraq and Syria is that pretty much everyone there is opposed to the west and the imposition of neoliberalism, whether they’re salafi fighters, Assad or Saddam loyalists, subsistence farmers, pro-Iranian Shi’ites, or indigenous villagers. The US or at least the media wants neat stories of good versus evil, or at least our bad guys versus their bad guys. But the US seems stuck with a strategy of allying with one opposed social force so as to defeat another opposed social force – Maliki or ISIS or the Kurds are the hero one moment, the villain the next. They’re assuming we’re all capitalistic in terms of how we think, but most of us aren’t. So the groundswell of allies the US is expecting, never appear. They’re just digging themselves deeper by trying to control conflict with false assumptions. How come IS can sell oil on the black market? Destabilise the Middle East | HAPLOGROUP - bit that makes us human.